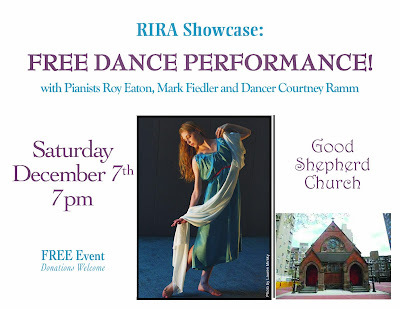 Are you looking for something to do tonight close to home on Roosevelt Island? Consider this. TONIGHT - The RIRA showcase is taking place at 7 PM at the Good Shepherd Community Center - Enjoy this FREE event showcasing your talented neighbors right here on the Island! 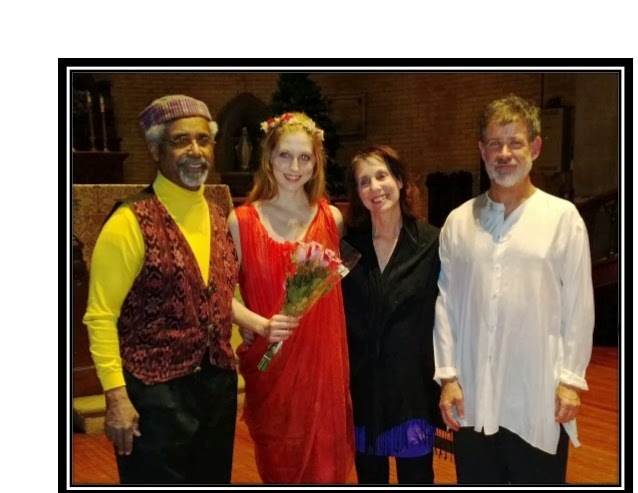 The performance will feature pianists Roy Eaton, Mark Fiedler and dancer Courtney Ramm. Donations are accepted. from the RIRA Music and Dance Showcase evening of Roy Eaton, Courtney Ramm, Adrienne Ramm and Mark Fiedler. I have heard from people who attended that it was a wonderful event. 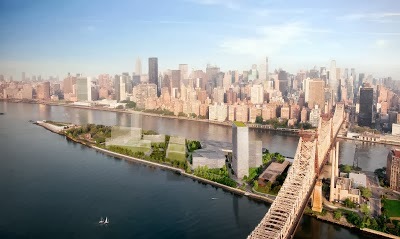 Christmas comes early this year for Roosevelt Island residents. to and from Manhattan this weekend. That makes it two in a row. Miracles can happen twice!!! 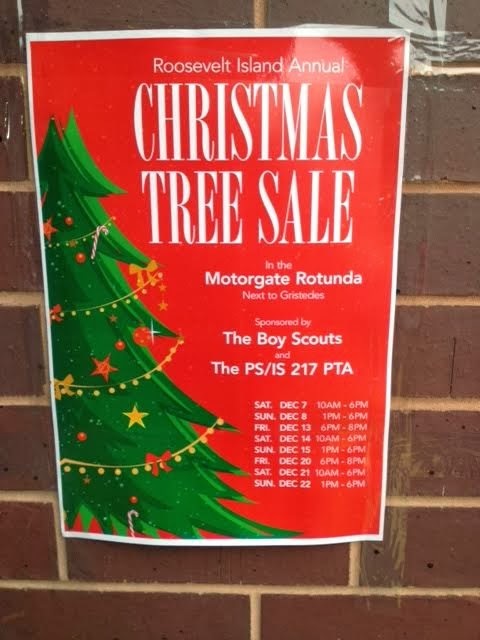 The Roosevelt Island annual Christmas Tree Sale starts tomorrow at the Motorgate Rotunda. 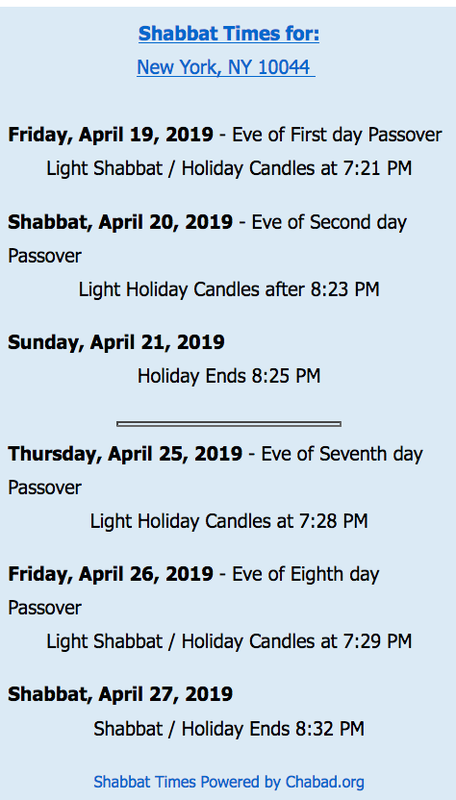 Here are the hours. 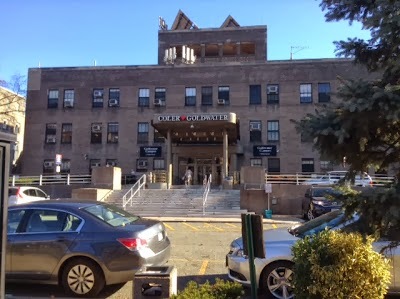 Roosevelt Island Residents Association Witch Hunt To Expel RIRA Member Farance Fails Following Approval Of Motion To Strike Agenda Item At Monthly Meeting, But Will It Return - Is Dr. Phil Available For Intervention? As previously reported, the November Roosevelt Island Residents Association (RIRA) Common Council (CC) approved a Bill Of Particulars to expel CC Member Frank Farance. According to the RIRA Constitution, Mr. Farance would have the opportunity to rebut the Bill Of Particular charges at the December RIRA meeting. Following the rebuttal by Mr. Farance, the CC would conduct a vote to expel him. A 2/3 (two thirds) vote of the Common Council would be needed to approve expelling Mr. Farance. contained a last minute surprise. Mr. Farance did not get to rebut the Bill of Particulars nor did the CC vote on the Motion to expel him. Before the meeting Agenda was approved, a motion was offered to strike item 7, the motion to expel Mr. Farance, from the Agenda. ... The attempt to expel Mr. Farance failed. Before Mr. Farance was to give his rebuttal, a motion to strike the Expulsion Agenda Item was made and approved by a vote of 15 to 14. I am not clear if the motion to expel Mr. Farance can be raised again at future RIRA meetings and if it can, does a new Bill of Particulars have to be approved. RIRA President Polivy expressed the view that it was wrong to take the motion off the Agenda without voting on the substance of expelling Mr. Farance. Of course, since a majority voted to strike the motion from the Agenda, presumably that same majority would vote to reject the motion to expel Mr. Farance. (a 2/3 vote was needed to expel, not just a majority). 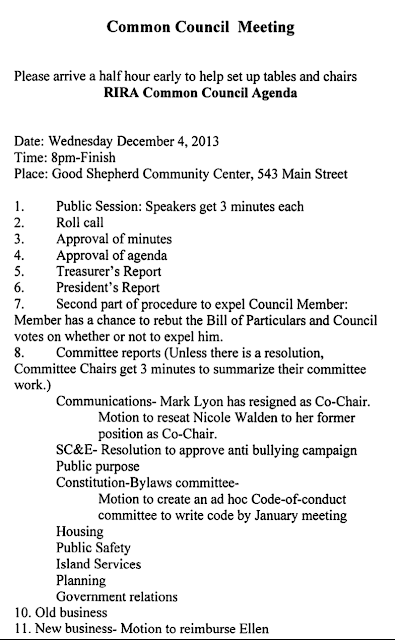 Following the vote, 3 supporters of the motion to expel walked out of the meeting and at least one, resigned. There was a full discussion (video here) by the CC at the November meeting. The December meeting was to give Mr. Farance a chance to rebut. Here's the full RIRA President's Report from Ms. Polivy. It is my desire that the Common Council as the elected body of the Roosevelt Island Residents Association uses lessons learned from the matter of expulsion so to move forward in a constructive and objective manner. I must admit that, from my perspective, there is an abundance of ambiguity associated with how we have proceeded, so much that it calls into question decisions made or that might be made associated with the conduct of us on and individual and collective basis. There are institutional actions and improvements we can undertake to mitigate controversy going forward. These include, among other things: more clarity in the Constitution and Bylaws; a full review of our procedures at the Common Council and Committee levels; a broad refresher of our responsibilities as a 501c organization; codification of a code of conduct/ethics; training of Council Members so to understand the rules, provisions of the governing documents; and the need to improve ourselves on matters of decorum. Quite frankly, I am saddened by how questions raised about Mr. Farance and the process we undertook has reflected upon the Council, creating risks to its credibility and effective operation. We have the prospects of loosing Councilors who have contributed so much to improving the way of life on the Island. But, we also have the opportunity to take advantage of this situation to make ourselves better so to get on with the business of helping make life better for the residents of this wonderful Roosevelt Island. At this point, I don't think we can say who is to blame and it could be folly to try doing so. Maybe each of us shares blame. Our focus has to be supporting the Common Council as structured going forward until we can make the aforementioned improvements and more. How Handling The Matter Of "Expulsion" Could Create A Risk Of "Implosion"
The attempt to expel Mr. Farance did not fail. It did not come up for a vote. The agenda item to discuss the matter was stricken. The affect of striking an ongoing procedure from the agenda is that nothing changed in any way. The charges against him still stand. The decision was simply delayed with no prejudice either way. Striking it from the agenda only subjects the Common Council to this "circus" for a longer period of time. In my personal opinion, we would all have been far better off getting this matter behind us. If his supporters thought he would win, there would have been no reason to take the matter off the agenda.The motion to remove the matter was made by one of his supporters. As to resignations, I'm aware of only one resignation that was submitted last evening. Although several Common Council Representatives are seriously considering resignation, one very active and supportive member resigned so far. 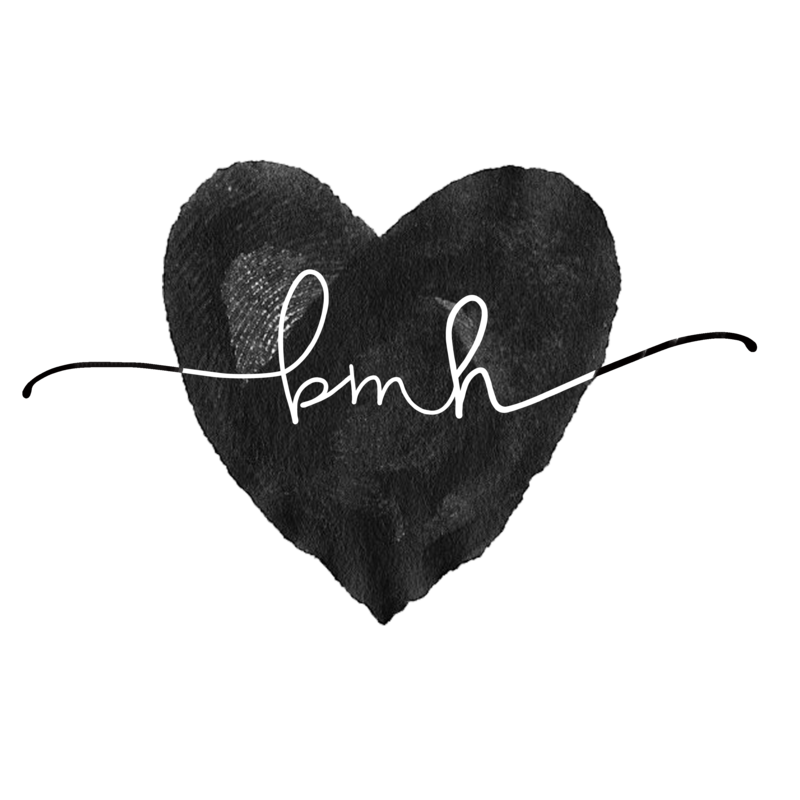 It is a sad loss for the community. Jeff Prekopa accomplished, in short order, what Frank Farance failed to do for several years although he was responsible for doing so. Jeff created an impressive web page for our organization and upgraded the technology for our organizational communications. He did it quietly, professionally, and without fanfare. It is my belief that several more Common Councilors will be resigning based on the outcome of this matter. While you may term an attempt to stop Frank's reprehensible behavior as a "witch hunt" there are many folks who will not serve on a board in which its members are consistently and continuously bombarded by his toxic dialogue and threats. Personally, I feel that what he does is bullying, and I won't serve with people who sit by and allow other members to be bullied. Telling someone that if they don't behave in a certain way, he will report them to the Attorney General, Inspector General, or whomever else he pleases, is a grotesque and flagrant act of bullying. He seems to have no boundaries or concern for the welfare of his colleagues. If you notice, Frank has a considerable calm about him. When people react to the harm he's created, he simply quietly digs in his heels and throws pages and pages of accusation and rhetoric at them, justifying his behavior and escalating his claims. He's a very quiet, intelligent bully. It's as if he's appointed himself the official gossip of Main Street, sitting with his feet propped up on his balcony's banister and lobbing "press" grenades at every oddity he sees. When he has a slow day, he throws some marbles on the sidewalk to insure that people trip, and then he sits back, typing away and basking in the glow of his brilliance. Frank does not privately go to the person he is criticizing and have an illuminating discussion, the way people who wish to help out do. Instead, he portrays his suspicions as facts and displays them publicly so he can be recognized for his intellect. It's reprehensible behavior, and he does it all under the guise of "freedom of speech" and "helping his community." He calls an interest in protecting people from personal harm, being "emotional" and "making emotional decisions". He's way above that..... or is he? Emotions are what separate man from beasts. Without emotions, that's all we are. Frank should think about that the next time he criticizes people for becoming "emotional" over his attacks. They apparently have emotions. Where are his? And what is he if he cannot appreciate and respect the emotions of others? And, as for the people who defend his right to trounce his colleagues, where is their humanity? It's a very sad day when the folks who serve on the Common Council fail to see that someone who badgers and uses public forums to bully should not be stopped. The community needs to give serious consideration to the present condition of RIRA. We live in a community in which we have no democratic voice in the laws and governing decisions here. All we have to voice the will of our community are two organizations, RIRA and RICC. RICC deals with the specific task of attempting to protect the community from the possible encroachment and misuse of Cornell, who has hardly committed to doing anything positive here in our neighborhood, and has the potential of doing a great deal of damage. RIRA is the organization that considers matters such as policing, services, housing, and bringing the community together through activities that make our Island a special place to live. I've served on RIRA for several years and have seen many Common Council Representatives come and go. It is extremely unfortunate that the position of Common Council Representative is rarely a contested one. It enables people to serve who are not the community's choice, but are there by default instead. People who live in the community need to think about the kind of community they'd like Roosevelt Island to be, and if its one with an active residents association that truly represents the interests of the people, they need to carefully weigh who they vote for, and most importantly, they need to get involved. RIRA is what RIRA is voted to be. If the community wants a better RIRA, they need to take responsibility rather than sitting back and making amusing caricatures of witch hunts and the like. RIRA is what the community makes it. And what the community has made this RIRA is the recipient of bullying from within. I am opposed to the expulsion of Frank Farance from RIRA. The administrative measure of expulsion, to deal with Frank, is like using a cannon against a bee. My position has nothing in common with any defense of Farance's behavior, methods, or political positions. I have had enough negative first-hand experience with them to last a lifetime. But the expulsion of Frank, based on the materials presented in the Bill of Particulars, does not offer any concrete acts that rise to the level of what I think should be required to expel someone, and sets a dangerous precedent. Council Members' disruptive behavior does warrant some rule changes within the Common Council and within RIRA Committees. For example we need clear rules and monitoring against ad hominum attacks as well as space limits for online discussions. But you can’t expel someone for being rude, impugning people's motives, and for the constant use of insinuation, let alone for writing letters to the editor of The WIRE. In counterposition to expelling I think the Common Council should pass a series of resolutions opposing in detail the false "conflict of interest” charges and other insinuations Frank is trumpeting around the SCE and other committees and go on record with recorded votes on the issues he raises. The fact is that in Frank's case, he has never been more isolated in the RIRA Common Council and in the community as a whole as he is presently. Why make him a victim now? Those who strongly oppose Frank should work to defeat him in the next Island House election. There are excellent candidates within Island House who are outraged at his behavior and political posturing and who are prepared to take him on. The experience of the PSC can be useful in this regard. The struggle we led to get rid of Keith Guerra and change policing practices on the Island did as much as anything to politically isolate Frank. Not that that was ever our goal. Frank brought that on himself with his repeated attempts to divert the struggle into attacks on the RIOC Board and Lynne and Ellen who were members of the PSC with spouses on the Board, negating whatever positive contributions he made. Sure it was cumbersome and took up precious time in the middle of the fight but in the end the large majority unified through democratic debate, clarifying what the PSC tactics should and would be. Frank’s viewpoint and tactics ended up being supported by a tiny minority within PSC and, although he made some good contributions to the struggle, these were unfortunately outweighed by his aversion to acting as part of a team and respecting the clear democratic decisions of the majority. But we never thought of expelling him, despite all his provocations. We tried hard to make Frank part of the team in a democratic body. But, sadly Frank is his own worst enemy and he marches to his own drummer. Just about everything that Frank is charged with, within the Common Council, also happened within the PSC. I certainly sympathize with those like Ellen and Lynne -- who I and the PSC, by vote, strongly defended against Frank’s scurrilous attacks -- who have been slurred in public by Frank. So have I. His outrageous insinuations about my son's employment with RIOC as a summer, and now part-time, employee, being supposedly a conflict of interest with my position as Chair of the PSC, is ridiculous. The reality is that my son applied in 2011 for a summer position and was not called. He applied again in May 2013, with college and more work experience under his belt, and was hired in early June. My husband and I had nothing to do with getting him the job other than helping him prepare his resume. Guerra was still in office at the time and the PSC and both of us were sharply presenting the PSC's demands at RIOC Board meetings, which included the removal of Guerra and his thugs, prior to and following my son’s hire at RIOC. The insinuation that there was a quid pro quo, with Andrew getting a summer job and us selling out the struggle is ludicrous and everything in the public record contradicts it. My speeches at the May, June, September and November RIOC Board meeting, recorded on the blog, attest to the fact that the PSC’s democratically decided position remained my mantra. So I stand second to no one in my abhorrence of Frank’s his whole way of functioning, his insinuations, and his character assassinations. People do have the First Amendment right to establish any association or group that they care to as Frank did with his rump "Law Enforcement Committee" (LEC). But Frank's decision to form his committee was not “encouraged” by me, as asserted. It was Frank’s inability to accept PSC majority decisions concerning the committee’s tactics that encouraged him and his ally Helen Chirivas to split. Frank’s claim that he set up his committee because people felt intimidated by the presence of Ellen and Lynne in the PSC will produce laughter to anyone who ever attended various contentious PSC meeting. Ellen's views on some questions were sharply challenged and debated openly at some meetings, just like anyone else. Questions and differences were resolved through discussion and give and take. The PSC functioned democratically; there was no deference or intimidation. Frank’s proposed tactics were repeatedly not supported by the majority, and once this was evident in June, then voted down in July, his answer to his isolation was to create his so-called Law Enforcement Committee. The concrete positions the LEC has taken since, which include the PSC's long time position of advocating for services for the Young Adult population, have also been notable for advocating more aggressive policing, which clearly differs from the PSC position. ( For example, the PSC supported the tactics utilized by Interim Director Jack McManus on July 4th, where crowd control was managed without arrest or use of pepper spray, which is closer to what I would call sort of a Guerraism without Guerra.) Frank also supports the replacement of the PSD with the NYPD which the PSC unanimously opposes. While I know it is unpleasant to see your name smeared all over the Internet, this is the age we live in. If you take a public position, and you do political or community work, you can just expect that the coarseness that is prevalent in American society and politics today is going to bite you online. I have seen my viewpoint, motives and reputation attacked online, by other Common Councilors as well. It should just make us redouble our efforts to be civil and principled in our public or political activity. The truth is, Frank's behavior, outside of RIRA after being expelled from the body, will be no different than how he acts now as a member within RIRA. To justify the expulsion of Frank because some people may think that his opinions are the opinions of RIRA, is not valid. If this is the case the positions of the Common Council need to be clarified publicly by the RIRA President. Frank represents Frank and only Frank. He can claim, for now, to be the representative of Island House but let's see what the next election brings. As a member of the PSC, Frank often sent out material independently, during the PSC struggle, which conflicted with the PSC majority's viewpoint and chosen tactics in letters to the RIOC Board, etc. As the PSC Chair I had to reiterate the PSC position, making clear that Frank’s statements and opinions were just that, Frank’s opinions, not the position of the PSC. Yes, the task was frustrating and took time, but today my relationship with these external bodies, as the RIRA PSC Chair, is solid, as is the reputation of the RIRA Public Safety Committee. Frank has been an exemplary Island House representative (as well as IHTA Secretary) — promoting our tenants' interests effectively and well. He enjoys widespread and deserved support among the Island House electorate and there would be great concern by them if action were taken that might remove Frank and diminish our ability to have our needs and interests effectively represented at RIRA. I would urge you to consider the interests of Island House as you make your decisions. As you know, in Island House, we have been quite successful in negotiating an affordable housing plan for our tenancy. Our efforts have helped the 1000 residents and 400 families of Island House, and we hope we have created a template that can be replicated/adapted to benefit Westview tenants. Any success we have had has come from extensive and open negotiation with the key state agencies and, most importantly, a free, open and ongoing dialog with our tenancy who, at every juncture, have provided the most valuable input and strategic thinking that have enabled us to reflect and include their diversity and complexity in our agreements. 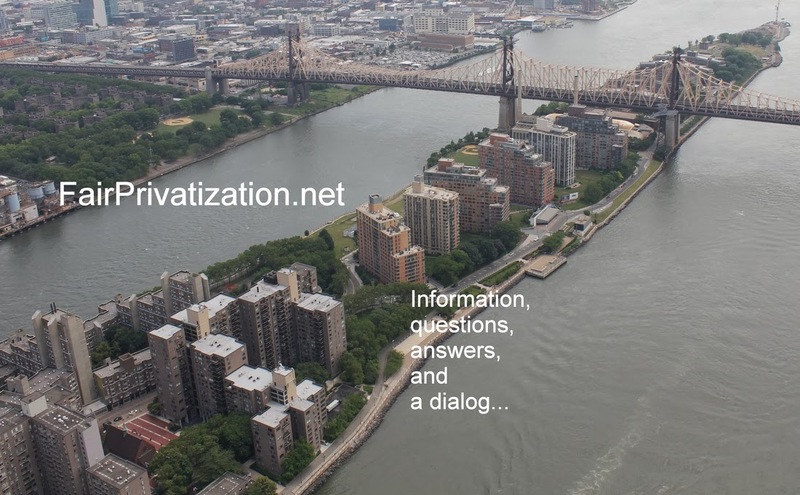 I was concerned at reports from our RIRA common council representatives that there may be attempts to limit debate/discussion at RIRA and/or limiting the engagement of RIRA members with the various State and law enforcement agencies with whom all of us do business on Roosevelt Island. (1) As at Island House meetings that allow all tenants to be heard, the RIRA Common Council should let all its delegates be heard. (2) Island House tenants participate in the RILEC committee. The "three prong' framework suggested by our RIRA representatives seems a good basis for examining concerns about Public Safety issues. (3) That RIRA oppose any attempt to set it up as "gatekeeper" as to who or what groups can meet with Public Safety (PSD) and/or RIOC. The standard across the city is that law enforcement meets with the widest range of community representatives and individuals to ensure they have a direct understanding of all community issues and concerns. I encourage the RIRA Common Council to seriously consider the positions and proposals of the Island House delegation. RIRA needs some intervention. Is Dr. Phil around to help? Roosevelt Island resident Jim Bates reports on a new low cost food buying option for Roosevelt Islanders. I have now assumed the role of contact person for Family Table Food Ministries on Roosevelt Island provided by Hope Church Roosevelt Island. 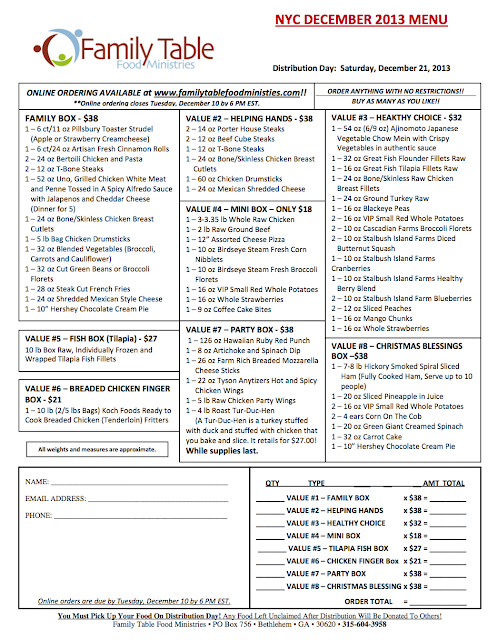 The way the service works is that once a month a menu is distributed with a deadline for ordering and a pick up location at the Seniors Center (546 Main Street). 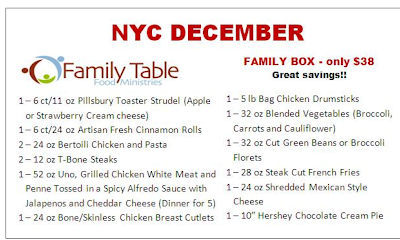 The December menu is located below and includes pricing as well as item information. and the rest of the December Menu. The delivery distribution date for December orders is December 21. 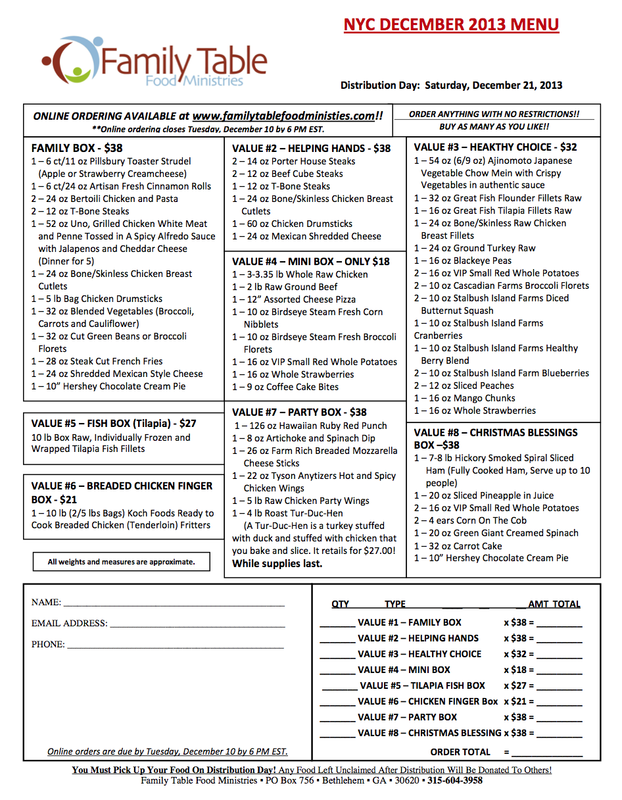 Orders must be submitted by December 10. 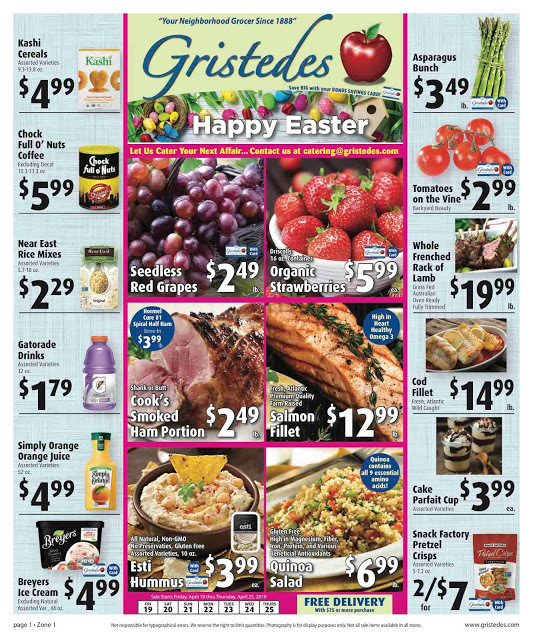 Click here to order online or call in person 347-985-7540. 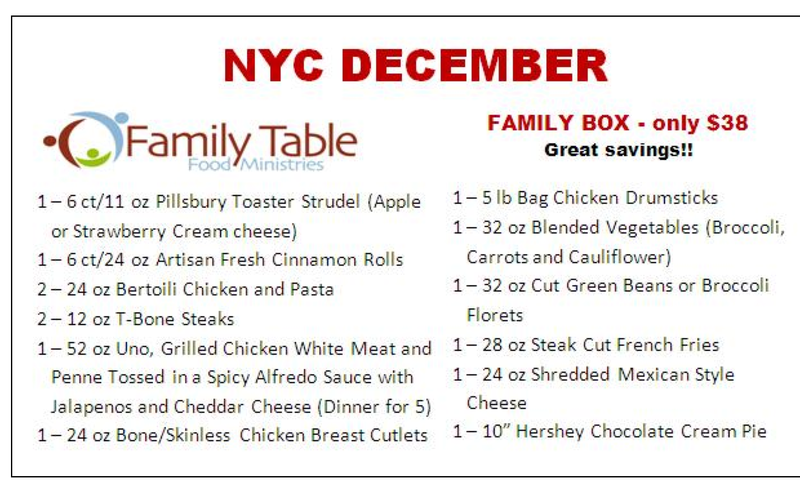 More information on Family Table Food Ministries available at their web site. 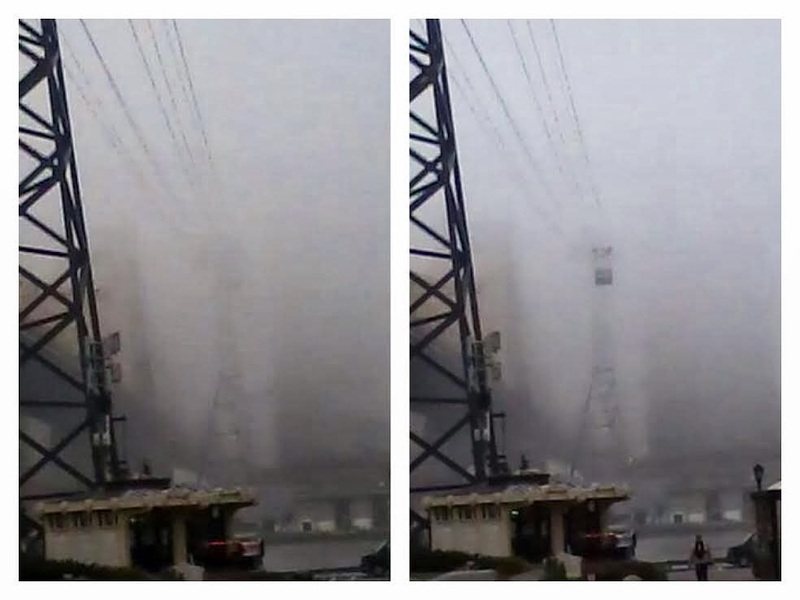 That was some heavy fog earlier this morning. 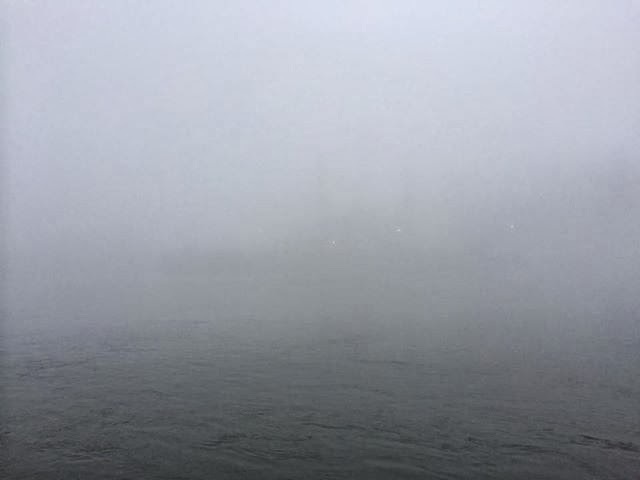 Foggy as I walk Jojo along the East River on Roosevelt Island. 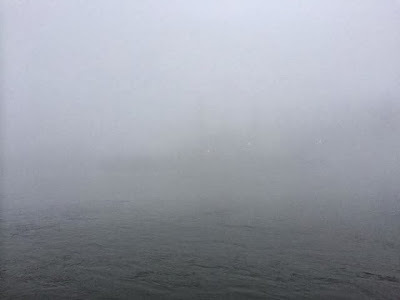 and Roosevelt Island disappears from Manhattan in the fog this morning. UPDATE 8:10 PM - View from the Roosevelt Island Tram looking into the fog. 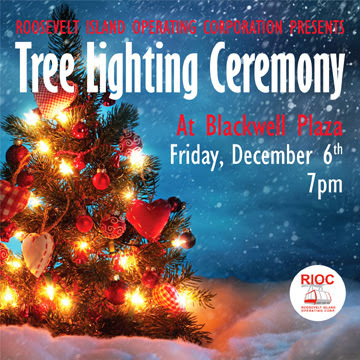 You are cordially invited to join the Roosevelt Island Operating Corporation at the annual Tree Lighting Ceremony. The festivities will take place at Blackwell Plaza on Friday, December 6th at 7 PM. Santa will make a special appearance on the Island after musical performances from members of the community. Hot drinks and winter treats will be served; kids can look forward to small holiday gifts and a photo opportunity with Santa. Come join in on the holiday fun and cheer this Friday -- We hope to see you there! This is what it was like last year. 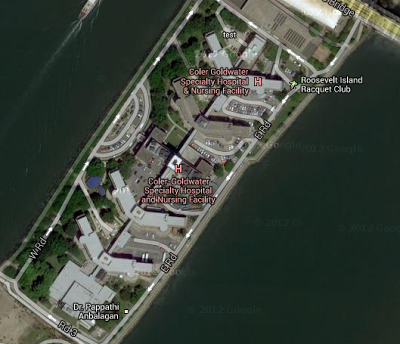 New Free Classes on Roosevelt Island! What: Don’t let the cold slow you down – learn how to weather the weather in this indoor class. 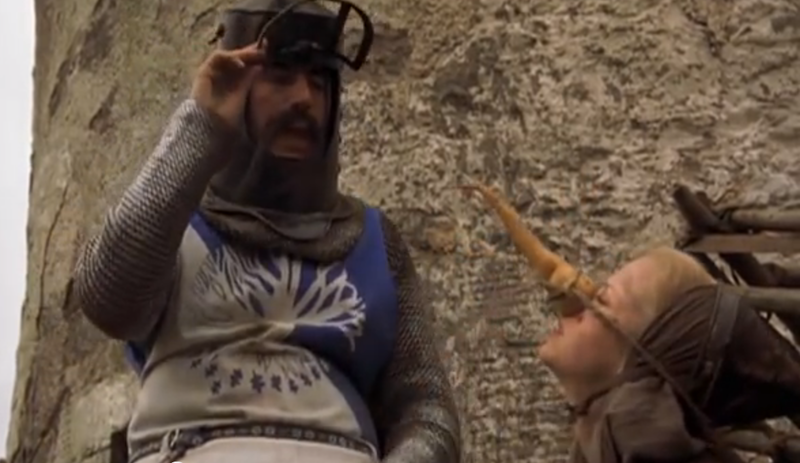 What: We aren’t your dad, and we aren’t going to just shove you down a hill. Using our safe, easy, stress-free method, adults and teens will learn how to balance, pedal, start, stop, and steer a bike. Walk in; roll out. Bikes & helmets provided. To register, visit www.bikenewyork.org. For more information on Bike New York classes, contact Caitlin Goodspeed at cgoodspeed@bikenewyork.org or by telephone at (212) 870-2075.
and here's a video showing other adults learning to ride. It may not be the Ringling Brothers, Barnum & Baily Circus but it's close. The Roosevelt Island Residents Association (RIRA) will be meeting tonight, 8 PM, at the Good Shepherd Community Center (543 Main Street) to continue its witch hunt to expel Frank Farance from the Common Council. Cyber bullying by publicizing defaming statements and misusing various communications platforms, both internal and external to the organization, (such as the email reflector, blog, social media, and The Main Street WIRE). Depriving the members of the Common Council of the respect they deserve for their devoted service to the community. WE THEREFORE MOVE TO EXPELL Common Council Representative Frank Farance, effective immediately pursuant to Article III, Section 9, paragraph (b). Organized a “Public “ Safety group independent of RIRA. This group is in competition with RIRA’s Public Safety Committee. This group undermines the work and credibility of RIRA’s Public Safety Committee. ... In my opinion, this Bill Of Particulars against Mr. Farance is ridiculous, a waste of time and damages RIRA more than anything Mr. Farance has ever said or done. There is nothing that Mr. Farance has published on Roosevelt Islander, or what I have seen in the WIRE, which is defamatory at all. It may be critical, highly opinionated and in some cases rude but it is not defamatory and certainly does not justify RIRA expelling him from a Common Council that he was elected to by the people who live in his building. Also, Mr. Farance often has a valid point to make, or, at least, an issue worthy of further investigation by NY State, RIOC, RIRA and the media. 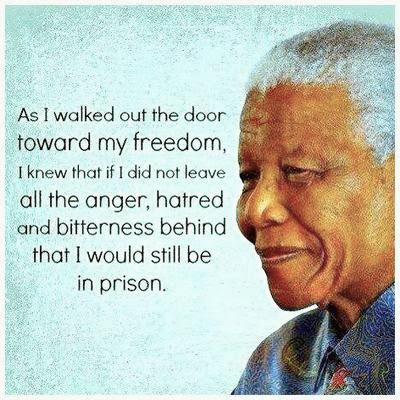 The attempt to expel him is for his dissident views made public, sometimes rude characterizations as well as personal dislike of him by some RIRA members. None of these reasons are sufficient cause to expel him from RIRA. Notice that the Bill of Particulars only contains conclusory statements about defamation without any specific examples. ... I would agree to tabling the expulsion motion! We know what Frank said and what other member stated. We heard and read all side of reasoning, this had both positive and negative effect. It is healthy that we are able to express to each other our opinions, but enough is enough. It is so true, two month of RIRA meetings on this matter is waste of our time and Island resident's time. As RIRA community representatives, we should be able to accept positive or negative comments and expressions of individual's opinion. We know the comments only represent person themselves not as an opinion of whole RIRA itself, but if we expel Frank because of a few members are uncomfortable with what Frank said; e-mail, send letters, published on WIRE, that alone can be a very bad image of RIRA. It'll really damage Ellen's leadership of RIRA permanently. Dear respective RIRA Members, this is not about who wins or loses. Please think big and wisely, not waste too much of everybody's time! I attend RIRA for my own interest as well as community interests, but resign or attend are each individual responsibility not to blame anybody else. Hope our meetings are more positive and productive in the future. All the respect and Best Wishes! Rather than working discretely within the organization to resolve what he feels are issues, Mr. Farance prefers to create a public spectacle of the organization's internal affairs. He repeatedly circumvents protocol by releasing information to the press and blogs. Mr. Farance uses an astounding assortment of tactics including inuendo, omission, fabrication, supposition, intimidation and threat to advance his agenda, all at the expense of other council members and the orgnization overall. Bound by its fiduciary duty to protect the orgnization, the Communication Committee concluded that intervention was required. We prepared and presented to the Common Council a Bill of Particulars calling for the expulsion of Frank Farance. The measure passed with an overwhelming majority. This corrective measure is part of a long history of attempts to correct Mr. Farance's behavior. Over the years he has been counselled, asked to resign, rebuked by the Common Council, and formally censured. I am preparing a post for Roosevelt Islander Online regarding the RIRA Communications Committee meetings which prepared the Bill of Particulars to expel Frank Farance from RIRA. I am not aware of any RIRA Communications Committee meeting held to discuss the subject of expelling Frank Farance. Were these meetings announced publicly before they were held? When were these meetings held? Were minutes kept of these meetings? If there were minutes, please post them on the RIRA web site or send them to me for review. I am following up on November 25 email below seeking comment from RIRA regarding the Communications Committee procedure used to bring a Bill of Particulars to expel Frank Farance. Please let me know if you or any other RIRA member wishes to comment. Also, do you or any other RIRA member have any comment on statement by RIRA Treasurer Russel Fields that the RIRA web page describing Mr. Fields as finding no "irregularities" in the Cherry Blossom Festival accounting is "misleading". Mr. Fields added that he found the Cherry Blossom Festival accounting to be "unacceptable". Why does the RIRA web page on the Farance Expulsion motion not include Mr. Fields true remarks? Here is link to Mr. Fields statement. Again, please let me know if you or any RIRA members wish to comment on these issues. If not, I will report that you were offered the opportunity but declined to respond. Still have not received any explanation. This whole attempt to expel Mr. Farance is absurd and is accurately characterized as a Witch Hunt. Below is the full Agenda for tonight's RIRA Meeting. UPDATE 11:40 PM - The attempt to expel Mr. Farance failed. Before Mr. Farance was to give his rebuttal, a motion to strike the Expulsion Agenda Item was made and approved by a vote of 15 to 14. Upon losing the vote, several supporters of the motion to expel Mr. Farance immediately resigned from RIRA. Roosevelt Island Women's Movie Group Shows Rebel: Loreta Velazquez, Secret Soldier of the American Civil War on Thursday, December 5 at 7:00 pm. Viewing films with themes as varied as political, social and sexual topics, plus psychological and cross cultural issues, the Roosevelt Island Women's Movie Group meets four to five times per year, since April, 2010. The group, started by Janet Falk and Sheila Berger Chazin, offers Roosevelt Island women and their friends the opportunity to view films on timely issues and, in the optional, informal post- film discussion, the attendees share their personal and professional perspectives on how they relate to the stories and topics. 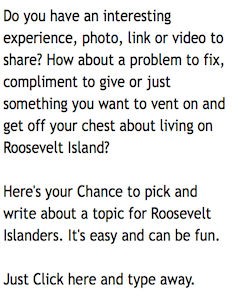 Falk noted that “Roosevelt Island is a community of do-it-yourself organizations. If you build it, they will come. It’s gratifying that the group continues to meet, and that, at each session, new members join.” Chazin added, “Our multi-generational and varied cultural membership make for lively discussion,” adding that “mutual respect among the members ensures privacy”. Participants bring healthy snacks to share. A fee of $6.00 covers the purchase of films and the cost of the meeting space. The group moved from a Southtown room to Gallery RIVAA to offer financial support to the Gallery. All Island women and their friends are welcome to attend the next movie, Rebel: Loreta Velazquez, Secret Soldier of the American Civil War, on Thursday, December 5, at 7:00 P.M. at Gallery RIVAA, 527 Main Street. The film re-creates the story of a woman who fought as a Confederate soldier, while disguised as a man. She later moved to the Union side, where she was a spy. Her autobiography recounting her work for both armies was published in 1876 and was denounced, perhaps because its story was so unconventional. To RSVP, please contact riwomenmovie@gmail.com. is conducting a vote today and tomorrow on whether to privatize and exit the Mitchell-Lama program under a market rate plan. Your last chance to vote in person is on Tuesday, December 3, 2013 (between the hours of 6 a.m. and 3 p.m.) and Wednesday, December 4, 2013 (between the hours of 3 p.m. and 9 p.m.) in the Rivercross Upper Community Room. This opportunity is ONLY for the purpose of voting on Rivercross Reconstitution (Privatization). There will be no additional agenda items considered or presentations made by the Board. Accordingly, if you have previously voted by Proxy, it is not necessary for you to attend this Special Meeting. However, if you do plan to cast your vote at this Special Meeting, please remember to bring a Photo ID with you. Voting will be conducted by Honest Ballot Association, the company supervising the voting. We encourage you to vote on this historic matter of importance to all Rivercross shareholders. Please understand that if you fail to cast a vote, it is equivalent to your apartment voting against Privatization. Some Rivercross residents are concerned that an approval of the market rate exit plan to leave the Mitchell-Lama program will mean the end of affordable housing now and in the future for Rivercross residents. They are concerned about maintenance increases, paying off a $50 million interest only mortgage and unequal voting power between small and large shareholders. 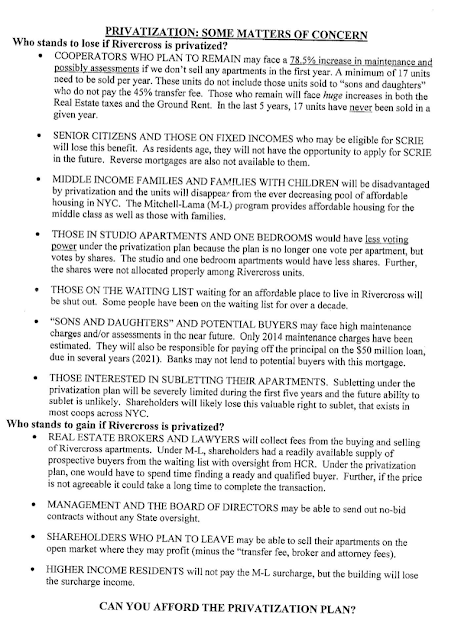 This anonymous flyer was recently distributed to Rivercross residents by an opponent of the market rate privatization plan. Following the October 23 Rivercross Board of Directors privatization meeting with shareholders, the Rivercross Board distributed this Question and Answer memo to its shareholders explaining what privatization and exiting from the Mitchell-Lama program will mean. For those of you who may have been unable to attend the DHCR-mandated meeting this past Wednesday night, we are reproducing the commonly-asked questions and answers presented at that meeting . Please note that the Offering Plan is the definitive document and nothing herein is intended to modify the Offering Plan in any respect. What vote is needed to approve the Plan? Two thirds of all apartments must vote in favor to approve the Plan. Each apartment has one vote, no matter what size, This includes combined apartments; they also only have one vote. If the Plan is approved, why is Withdrawal not projected to be effective until April 1, 2014? Under the terms of the Plan, shareholders have 90 days after the vote is certified to "opt out" or become Non-Participating Shareholders. 90 days after certification takes us to the middle of March, so the effective date for Withdrawal is projected to be April 1st. What does it mean to "opt out" or become a Non-Participating Shareholder? As a Non-Participating Shareholder, you will be paid the Mitchell-Lama value of your apartment and you will become a renter not an owner. 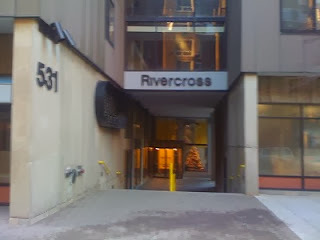 You will get a lease from Rivercross under which your rent will be equal to the maintenance you are currently paying. After the first year, your rent will increase by an amount equal to the increase allowed to rent-stabilized apartments in NYC but in no event more than 7% in any year. See pgs. 83 and 84 of the Plan. You will have access to all amenities you had as a shareholder. How is the Transfer Fee on first -times sale calculated? The Transfer Fee on the first time sales is equal to 45% of the difference between the gross selling price of the apartment and the Mitchell-Lama price of the apartment. For example, if the gross selling price of your apartment is $800,000 and the Mitchell-Lama price of the apartment was $50,000, the first-time Transfer Fee would be equal to 45% of $750,000 or $337,500. The $750,000 number is the difference between the $800,000 gross selling price and the $50,000 Mitchell-Lama price. How was the $7,000,000 in Transfer Fee Revenue in the first year determined? Transfer Fee revenue is based on two assumptions. First, that there will be first time sales of apartments at the rate of approximately 4.66% or 17 apartments during the first year as a private cooperative; and second, that the apartments will be sold at the prices consistent with range in market values determined by Michael Weinberg & Associates in his report that is set forth as Exhibit O in Part 11 of the Plan. If there are 17 sales in the first year at prices consistent with the Weinberg report, Rivercross will meet its projection of $7,000,000 in Transfer Fee Revenue. this is more fully discussed in Schedule B at note (9) on page 63 of the Plan. The Plan's projections are based on 17 sales per year; however, the historic rate of turnover during the last five years is 10 sales per year. Can you account for the difference? It is the Board's business judgement that a 4.66% turnover rate (or 17 apartments) is a reasonable assumption for a private coop coming out of Mitchell-Lama. It is also the Board's business judgement that the historic turnover rate under Mitchell-Lama is artificially low and not indicative of what the turnover rate will be for a private coop coming out of Mitchell-Lama. Each shareholder will have to make their own assessment of whether or not they are comfortable with the business judgement of the Board based on the information that is presented in the Plan and their evaluation of the track record of the Board. The Plan's projections are based on 17 sales per year; however, the historic rate of turnover during the last five years is 10 sales per year. Can you account for the difference? It is the Board's business judgement that a 4.66% turnover rate (or 17 apartments) is a reasonable assumption for a private coop coming out of Mitchell-Lama. It is also the Board's business judgment that the historic turnover rate under Mitchell-Lama is artificially low and not indicative of what the turnover rate will be for a private coop coming out of Mitchell-Lama. Each shareholder will have to make their own assessment of whether or not they are comfortable with the business judgment of the Board based on the information that is presented in the Plan and their evaluation of the track record of the Board. What are the extra costs associated with being a private coop? The significant extra costs associated with being a private coop are first, increased real estate taxes or PILOTS (payment in lieu of taxes) and second, increased ground rent. As spelled out in Schedule B at notes (26) and (30) on pages 66 and 67 of the Plan, it is anticipated that PILOTS and ground rent payments will increase by approximately $5.5 million. In addition, there will be a loss of surcharge income of approximately $300,000 plus NY State and City Franchise Taxes of approximately $100,000, making the total additional costs associated with privatization approximately $6.0 million. Will maintenance increase as a result of privatization? While the Board cannot guarantee the future, the Board's projections indicate that maintenance will not increase as a result of privatization. The Board's projections for the first year after privatization show that Transfer Fees will generate approximately $7.0 million in additional revenue and the additional costs attributable to privatization will be approximately $6.0 million for a surplus of approximately $1.0 million. The Board has presented a five-year projection at page R-3 of the Plan and that projection shows a surplus in each of the next five years. Will maintenance increase other than as a result of privatization? Operational costs, such as the cost of building staff and the cost of utilities, continue to increase each year. A maintenance increase will be required to pay for the additional operational costs of Rivercross. The Board's projections for 2014 include a 3% annual increase in maintenance to offset the additional operational costs of Rivercross. 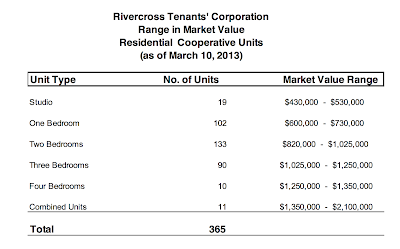 As described in Note (2) at Schedule B-1 at page 69 of the plan, we would have this increase whether or not Rivercross was becoming a private coop. How does the Corporations's "right of first refusal work"? Once a selling shareholder signs a contract to sell his or her apartment to a potential purchaser, the selling shareholder must offer Rivercross the right to purchase his or her apartment on the same terms and conditions as offered by the potential purchaser. This offer to Rivercross is irrevocable and cannot be withdrawn if Rivercross accepts the offer. The right of first refusal is more fully discussed at pages 91 and 92 of the Plan. How is voting changing after Privatization? Rivercross, as a Mitchell-Lama coop, was organized under the Private Housing Finance Law, which provides for voting on the basis of one vote per apartment, irrespective of the number of shares of the coop held by each shareholder. Rivercross, as a private coop, will be organized under the Business Corporation Law, and each shareholder will be entitled to one vote for every share held by such shareholder. While one apartment-one vote is the norm for Mitchell-Lama housing, one share-one vote is the norm for private coops organized under the Business Corporation Law. This is more fully discussed at page 34 of the Plan. What is the deferment for certain family transfers? After Reconstitution, if a current shareholder transfers his or her apartment, that shareholder must pay a 45% Transfer Fee. However, the Plan provides for a one-time deferment of that transfer fee for a limited number of family members. As more fully discussed at page 91 of the Plan, a deferment of the transfer fee will be allowed for a transfer to a spouse, domestic partner or an adult child if BOTH of the following conditions are met: (1) the transfer is by gift, will or intestacy and for no consideration, and (2) the transferee, after the transfer, occupies the apartment unit as his/her Primary Residence. Here are two examples: A shareholder dies and leaves his apartment to his adult child - the child occupies the apartment as his/her Primary Residence. The 45% Transfer Fee is deferred and when the adult child sells the apartment at a future date, the adult child will have to pay a 45% Transfer Fee on the value of the apartment at that future date. In the second example, a shareholder dies and leaves the apartment to his adult child but the child does not occupy the apartment after the transfer as his/her Primary Residence. The child can acquire the apartment but there is no deferment of the first-time Transfer Fee and the first-time Transfer Fee is due at the time of the transfer to the child based on the value of the apartment at this time. The Board does not anticipate the deferment of the 45% Transfer Fee on these transfers to family members will have a material impact on the Transfer Fee revenue projected in the Plan and the Board took this deferment into consideration in determining the projected Transfer Fee revenue. After Reconstitution, can a current shareholder obtain a mortgage or home equity loan? Home equity loans and Mortgages will be acceptable under the Plan, subject to terms and conditions to be set by the Board. Reverse Mortgages are not available at this time for any apartments in a cooperative that is on a land lease. Section 623 of the Business Corporation Law provides that a dissenting shareholder shall receive the fair market value of his/her shares determined the day before the votes approving the Plan of Reconstitution. What amount will that be? The Mitchell-Lama value of the shares. Please be aware that the provisions of Section 623 are separate from the provision in the Plan for Non-Participating Shareholders. Section 623 does not provide for a dissenting shareholder to receive a Special Lease and remain a resident of Rivercross. For a more detailed discussion of Section 623, see page 84 of the Plan. Are there any provisions in the Plan to defer the first-time Transfer Fee for a shareholder selling his/her apartment and buying another apartment in Rivercross? There are none. The first-time Transfer Fee would have to be paid on the sale of the apartment. estimates of the market value for studio apartments are between $430,000 and $530,000;1-bedroom apartments are between $600,000 and $730,000; 2-Bedroom Apartments are between $820,000 and $1,025,000; 3-bedroom apartments are between $1,025,000 and $1,250,000; and 4-bedroom apartments are between $1,250,000 and $1,350,000. More info available at the Rivercross Information Privatization Gateway. 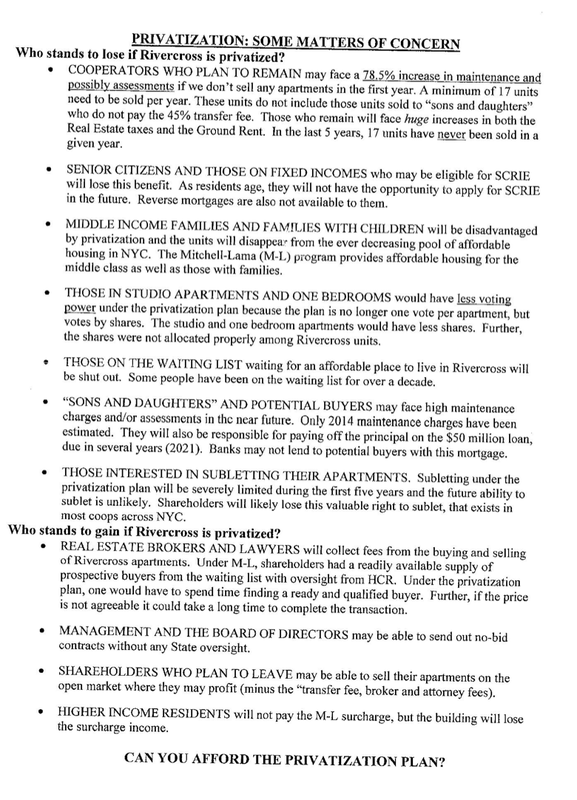 Here is prior post on the Rivercross Building's privatization efforts to leave the Mitchell Lama program as well as video of meeting on the Island House privatization efforts Also, previous post on the Rivercross $50 million interest only 10 year mortgage refinancing and December 2010 ground lease extension from the Roosevelt Island Operating Corp (RIOC). UPDATE 12/4 11:50 PM - The Rivercross privatization plan was overwhelmingly approved. Unofficial results are that the vote was 315 to 35 in favor of privatization. As part of a Community Emergency Response Team (CERT) training class, there will be a controlled fire outside 4 River Road on Roosevelt Island tonight from 6:30 PM to 9:00 PM. Expect to see FDNY and NYPD personnel in action. To learn more about CERT, visit http://www.NYC.gov/CERT. 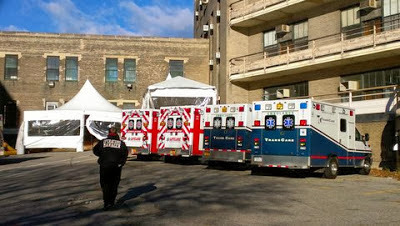 on Roosevelt Island CERT team from previous post. 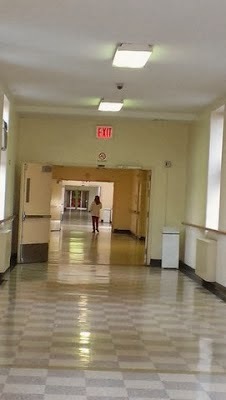 More on the Goldwater Hospital patients transfer from the NYC Health and Hospitals Corp.
and this video from last July of Goldwater patients and workers testifying about their fears and concerns on the hospital's closing. campus. RIOC controls the land that is outside 5 feet from the perimeter of existing Goldwater Hospital buildings. PLEASE TAKE NOTICE that a meeting of the Real Estate Development Advisory Committee of the RIOC Board of Directors previously scheduled for Monday, December 2, 2013 has been rescheduled and will be held on Wednesday, December 4, 2013 at 5:30 p.m. at the RIOC administrative office, 591 Main Street, Roosevelt Island, New York. 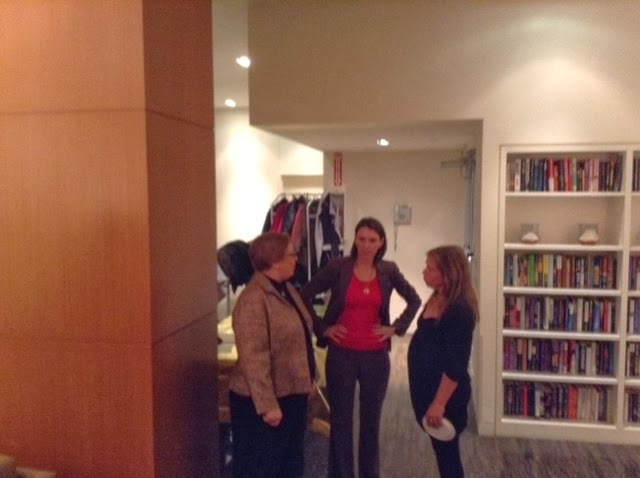 Roosevelt Island Historical Society (RIHS) President Judy Berdy hosted a Thank You For Your Service gathering for NYC Council Member Jessica Lappin earlier this evening. Ms Lappin will no longer be a member of the NYC Council representing Roosevelt Island because she was term limited from running for another term. Ms. Lappin has been involved with Roosevelt Island for the last 15 years beginning as a staffer in former City Council Speaker Gifford Miller's office to her current position as Roosevelt Island's NYC Council Member. Roosevelt Island Seniors President Delores Green expressed her appreciation too for Ms. Lappin's service adding that Ms Lappin would be missed. Ms. Lappin and Ms. Berdy reminisced about past Roosevelt Island battles and accomplishments. Here's what they said. Good luck and Best Wishes to Ms. Lappin in whatever she decides to do next. 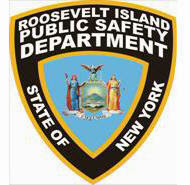 ... whether the Roosevelt Island Public Safety Department Audit, which was scheduled to be completed and released to the public in July, has been completed yet. If it has been completed, please send me a copy so I can publish on Roosevelt Islander and share with the community. If it has not been completed, does RIOC have any comment on why it is not completed and an anticipated date of completion? Also, during the September RIRA meeting, you were asked about the NY State Inspector General (IG) reports on Roosevelt Island. At that time, you said you have not seen them yet. Links to previous IG posts here and here. The PSC and myself in no way disregard or downplay what has been accomplished in moving forward around questions of constitutional rights and law enforcement on the Island or your role in that progress. Nevertheless, there are outstanding issues that remain unresolved and are, as it were, sitting in limbo. First, there is the unreleased Audit of the PSD, commissioned by RIOC and scheduled to be released this past July. Although the PSC always questioned the Audit’s scope, which failed to focus on the legacy of abusive practices documented in the civilian complaints presented to the RIOC Board, or indicate in any way that the Officers involved in wrongdoing would be held accountable for their actions, we cooperated and encouraged our activists and victimized residents to be interviewed and participate in the process. We have always felt that facts, once aired, and in the context of an aroused and organized community would be our greatest ally. It has been our expectation that the results would be, whatever the Audits limits in scale and scope, another factor, in conjunction with an open dialogue with RIOC, leading to positive change away from the dysfunctional policies and procedures identified. The PSC has for several months now ceded to the RIOC Board, the respect of time. It is now public knowledge that a comprehensive draft was completed, which has been reviewed by the relevant authorities. Where is the final report? We understand that public release of the finalized audit will likely reveal a number of deficits in the structure, policy, and practices of the PSD and thus will probably be embarrassing politically to those in leadership roles during that time period. But it is better to put it out there, let the chips fall where they may, and move on. People want to know what is going on. and the full video of her remarks. Reports will be released to the public.